It’s a been a thought that has niggled in my mind for years. What a waste. I’m talking about practice ranges at some golf facilities. They tend to be hotbeds in the morning before the bulk of play but often turn into ghost towns in the afternoon. It’s valuable space that is often very under-utilized. On a trip to Scotland I noticed that in East Lothian, just east of Edinburgh, the Gullane Golf Club Children’s Course is basically a range-like field shaped into a golf course with tees and greens. It got me thinking that it would be great to see the adaption of this in North America (or anywhere for that matter). It was easy to picture taking some of the practice grounds near home and imagine kids and people of all ages wandering over them to play golf. 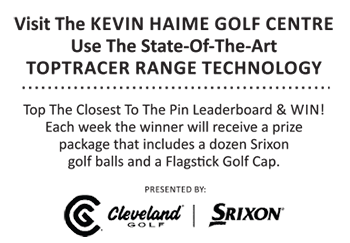 A short course that would help people learn the game in a less pressure-filled environment, and, at the same time, generate both revenue and future golf interest. No need for them to wander onto the main course, be intimidated, and even hold up the play of more experienced players. It appears I’ve not been the only one with this on my mind. The #minidunes (yes, that’s the name, hashtag and all for the social media minded) at the Ak-Chin Southern Dunes Golf Club in Arizona recently opened. The dynamic practice facility plays as range in the early part of the day and then converts into a short 6 hole golf course at 1 p.m. each day. Kids under 17 play for free and adults enjoy the course (as many holes as they like) for $12. A day long pass (range in morning and course in the afternoon) is $25. It’s a great concept and a plausible idea (with variations to suit each course) to help move the game forward. To read more on it see their website at this link. Old Is New – Where Will Square Take Us This Time?